Political economy risk – what tools can be used to keep stakeholders at all levels, from policy-makers to the general public, well-informed about the value and limitations of parametric instruments? Understanding disaster risk – how to take advantage of parametric insurance engagements to improve understanding and communication of underlying disaster risks? Basis risk of the parametric insurance coverage – what information is needed to help Governments to better manage this risk? Dr. Oscar Vela Treviño is the Head of the Insurance, Pensions and Social Security Unit of the Ministry of Finance and Public Credit. He began his career at the Ministry in August 2009 by joining as Advisor to the Undersecretary of Finance and Public Credit; later he held the position of Deputy General Manager of Public Debt in the Public Credit Unit. Prior to joining the Ministry, Dr. Vela worked as an economist for Emerging Markets at Barclays Capital and at the Directorate of Economic Research at Banco de México. Dr. Vela has a degree in Economics from ITAM and holds a Master’s and Ph.D. in Economics from the University of Chicago. He has worked as an academic at ITAM and at the University of Chicago, giving classes in Public Finance, Public Policy and Microeconomics. Some of his research have been published in specialized magazines in Mexico and the United States. Ms. Larisa Mora is the Insurance and Sureties General Director at the Ministry of Finance and Public Credit of Mexico. She joined the Ministry in October 2011 as a Deputy Director of Public Debt. Prior to joining the Ministry, Ms. Mora worked at the Research Department of the United Nations Development Program. Ms. Mora holds a Bachelor’s and a Master’s Degree in Economics from ITAM, Mexico City. Ms. Mora has lectured courses in microeconomics at ITAM. Some of his research has been published in journals in the U.S. and México. Mr. Isaac Anthony was appointed CCRIF Chief Executive Officer on 1 January 2013. Prior to this appointment, Mr. Anthony served as Permanent Secretary, Planning and National Development in the Government of Saint Lucia. He also has served his country in key positions such as Accountant General, Registrar of Insurance, Director of Finance and Permanent Secretary, Finance. 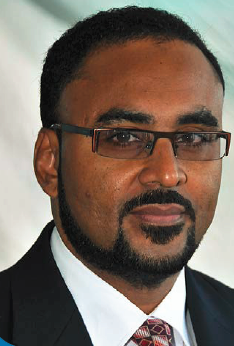 He served as a CCRIF board member appointed by CARICOM from 2007 to 2012. Prior to that Mr. Anthony worked a senior finance and planning official with the Government of Saint Lucia coupled with service on the boards of key regional financial institutions such as the Caribbean Development Bank and the Eastern Caribbean Central Bank. Mr. Anthony is a graduate of the University of the West Indies, with a Bachelor of Science degree in Economics and Accounting and an MBA from that institution. Mr. Dario Luna Pla heads Akua Capital, one of the few private equity and advisory companies focused on the insurance and reinsurance industries in Latin America. Akua Capital closed its first fund in 2014, and under the scope of its investment activities Dario is a Board member of several insurance related SME´s. 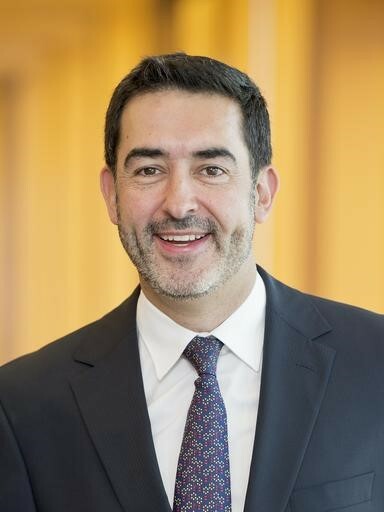 He is also an Independent Board Member of Principal Afore in Mexico ($2bln AUM), and is currently working with the Mexican Insurance Association to develop private micro-insurance solutions based on probabilistic catastrophe models and public exposure data for households that are under the poverty line. More recently in 2018, Akua Capital has launched Resilios Parametric Solutions, a boutique structurer of parametric and non-traditional insurance for the Latin American markets. Prior to founding Akua, Dario held various positions in the Ministry of Finance in Mexico. One of his most recent responsibilities was to lead the placement of Mexico´s well known Catastrophe Risk Management Programme, which involves transferring natural disaster risks to reinsurance and capital markets for around USD550 million. Mexico is a pioneer in Sovereign Cat Bonds (the MultiCat programme sponsored by the World Bank), and Dario contributed through the years to that effort under various roles. During 2012 he led the G20 discussion of Disaster Risk Management among Finance Ministries under that year´s Mexican Presidency. He has also been a reinsurance broker at Willis Re in London, and has provided catastrophe risk management advisory services to the World Bank, IADB and the CCRIF. Mr. David Traill is a seasoned insurance expert with over 20 years’ regional experience in the insurance sector, including leadership roles in some of the largest established insurers in the Pacific and Australasia. Before his recent move in early 2018, to become CEO of the Pacific Catastrophe Risk Insurance Company (PCRIC), PCRAFI’s captive insurance company for sovereign parametric insurance products, he has also had experience in general management, pricing & product strategy, catastrophe modelling, capital management, and distribution and marketing management at all levels of an organisation. In his time in the industry he has also worked across teams in NZ, Australia, Pacific Islands and India, including involvement in Insurance start-ups and post disaster response. Mr Traill shares a strong commitment to PCRAFI’s mandate to provide affordable climate and disaster insurance solutions for Pacific Island Countries and supports the goals of regional capability building in risk assessment, disaster risk finance structuring and disaster readiness and response. Ms. Paola Sherina Alvarez currently serves as Assistant Secretary and Spokesperson at the Philippines Department of Finance. She also handles various portfolios including Disaster Risk Financing and Insurance, climate financing, and legislative liaison. 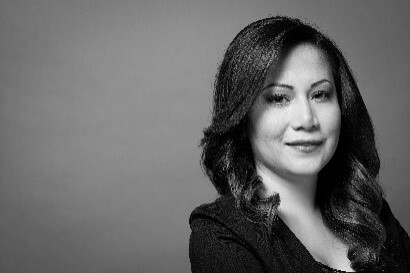 Prior to joining the Department, Ms. Alvarez was a Junior Associate at a local law firm, specializing in claims and labor disputes in maritime and shipping, immigration, and intra-corporate matters of freight forwarding companies. In 2008, she graduated with a Bachelor of Arts degree in International Studies from De La Salle University-Manila before pursuing a Juris Doctor degree at the Ateneo de Manila University. 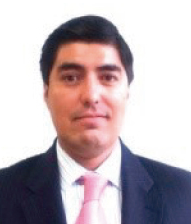 Mr. Miguel Navarro (moderator) is the Head of Banking Products at the World Bank Treasury. He manages the team responsible for the design and implementation of financial solutions to help clients: (1) access financing for development by mobilizing World Bank Group resources and private sector financing; (2) mitigate the impact of financial and natural disasters risks by facilitating access to market-based risk management tools; and (3) strengthen capacity to implement efficient risk management strategies by providing advisory services. Before joining The World Bank Treasury in 2004, he worked for over 10 years on the financial sector and pension related projects in Latin America and East Asia Regions. Prior to the World Bank, he worked for Santander Serfin, one of Mexico’s largest commercial banks where he was responsible for structuring international financing operations for the bank’s corporate clientele.